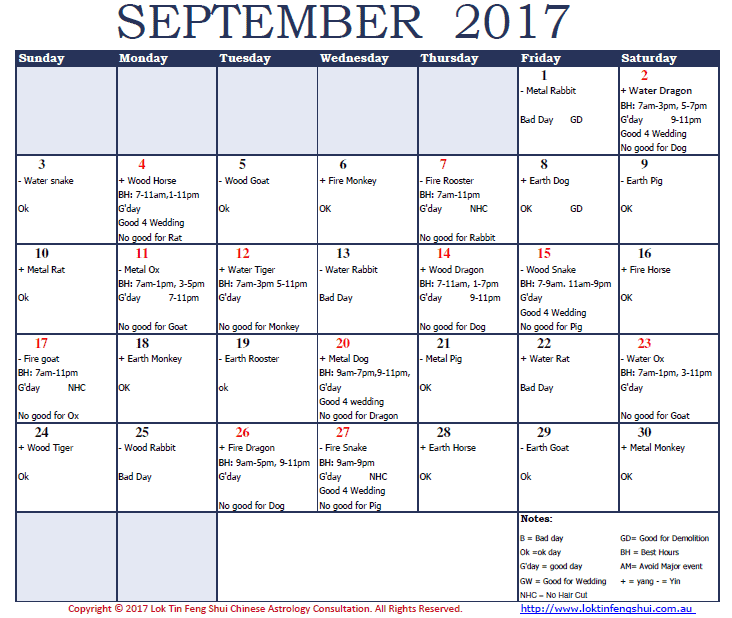 These are the good and bad days in September, 2017 (Rooster Month, rooster Year). Hope you can benefit from it. Please feel free to share. It is free for your and your friends. Excellent contents, Well instruct program, Easy to follow! D. Tam – Business Owner.